Cover Your Components in Cold Weather! Anti-Freeze & Outdoor Insulation Jackets prevent freezing and can accommodate heating elements for extreme conditions. The Thermaxx name is synonymous with steam systems. 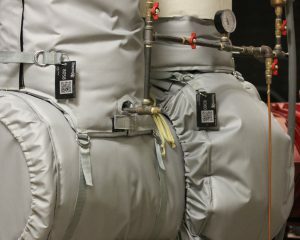 Removable reusable insulated jackets are seen in wide use today bearing the Thermaxx name in boiler rooms all over the USA and abroad. But what about keeping the cold out? Thermaxx offers insulated jackets that will do just that. During the cold winter of 2013 the Midwestern and Southern states around the US experienced record freezes that lasted for weeks, the Polar Vortex had hit our nation hard and industries were sourcing a way to help protect sensitive equipment and pipe systems. Freeze protection was a must and when Thermaxx was asked for solutions we delivered with our Antifreeze line of insulated jackets. The Antifreeze line is very similar to our regular hot side of insulated jackets. In fact the same materials are used in different ways to achieve a custom fit insulated jacket designed to keep the cold out. Aerogel insulation combined with superior PTFE/Silicone-coated Fiberglass jacketing (sometimes combined with needled fiberglass) offers unique insulating properties to protect each component. In combination with an electric heat trace cable, provided by the end user, the Thermaxx Jacket has proven to be a winner in this area of need. Looking to protect your component from the weather, but don’t need freeze protection? Our WeatherMaxx Covers are the perfect solution. The overall concept for designing your Anti-Freeze Jacket is achieved by closely working with your engineers and our design team. Industry Engineers along with our trained sales staff gather information about the component being protected. Weather is always a concern, questions like normal area winter temperatures, on site location, wet or dry location and even wind speed can determine which materials we use. If a heat trace cable is being used on the component before jacketing we will ask what type, size and wattage to once more guarantee the proper design and fit for your Anti-Freeze Jacket. 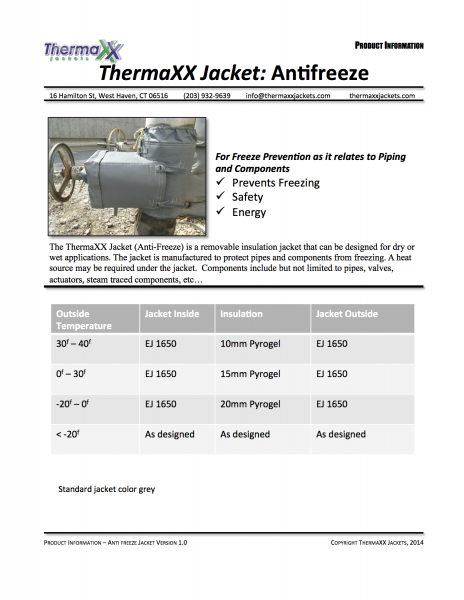 Your company can rely on Thermaxx to deliver the best designed Anti-Freeze Jacket system. 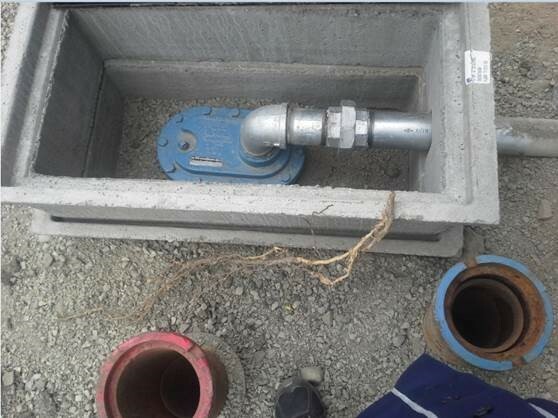 We offer a full warranty on our products and also offer on-site field measuring when needed. We want to keep you warm this winter! 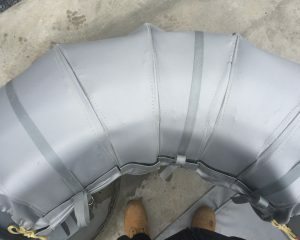 Anti-freeze insulation jackets are designed to protect outdoor pipes, valves, water system components, and equipment from freezing. Our durable outdoor insulation covers are specifically designed for protection from the cold. When needed, we also provide belt loops, sewn to the interior side of the jacket, to allow for easily “snaking” of heat trace material. This allows for easy removal when component needs to be inspected or maintained. When the jacket is removed, the heat trace comes off with it! 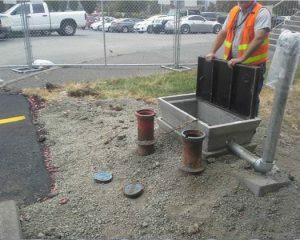 Backflow prevention devices perform a critical function by protecting water from contamination. 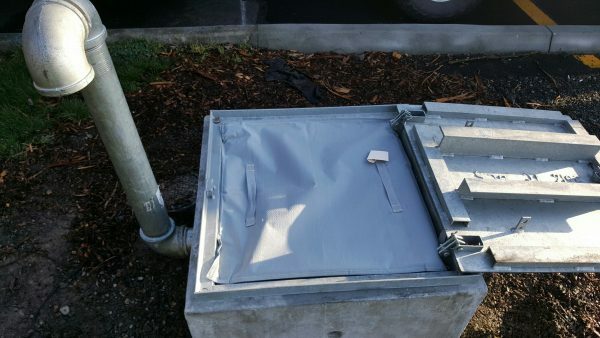 Backflow preventers such as atmospheric vacuum breakers, and pressure vacuum breakers are often located outdoors and could be at risk for breaking due to freezing. 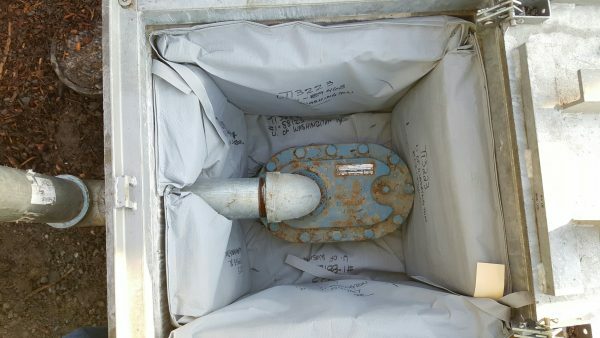 Installing an anti-freeze insulation jacket can mitigate this risk to help keep drinking water safe and avoid costly repairs and replacements of backflow preventers. 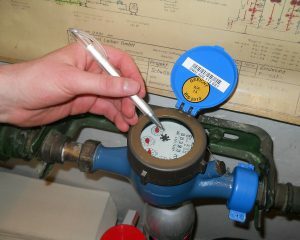 Water meters may be utility company property, but it is often the customer who is billed for water meter repair and replacement. 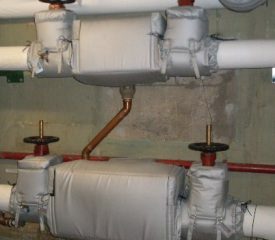 Water meters have a reputation for freezing and breaking but can easily be protected by insulation covers. Air release valves are important water system components that are often also at risk for freeze damage. 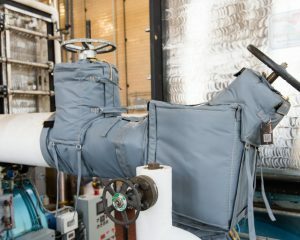 Anti-freeze jackets will keep the cold out and keep heat from radiating away from equipment so you can reduce your gas or electricity consumption. Outdoor valves and pipes may be at risk for bursting due to expansion within the pipes if the water freezes. Burst pipes can result in costly repairs and expensive cleanup and damage control. Other outdoor equipment may also be at risk for sudden breaking due to freezing. 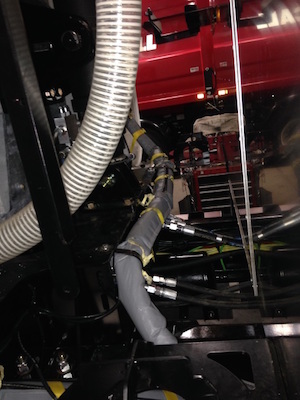 Freezing and thawing causes expansion and contraction that can degrade equipment integrity. Antifreeze jackets can provide insurance against the harsh elements. 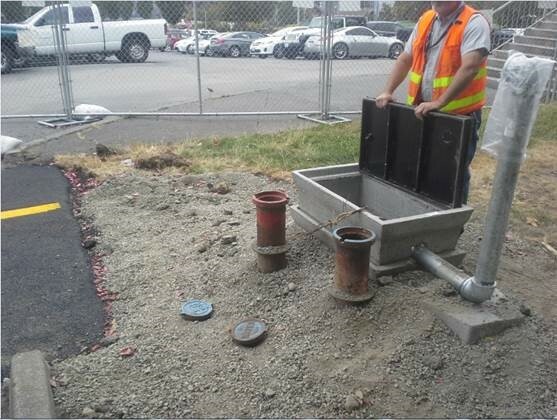 A burst pipe or broken backflow preventer can cause an entire water system to be put temporarily out of commission. If run cold, an outdoor motor could blow and cause an outage. Severe cold can cause service interruptions in many ways. 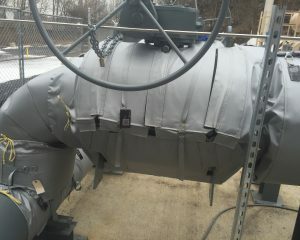 Exterior insulation jackets can help keep service running smoothly despite the harshest winter conditions. Our insulation products are specifically designed to be removed and replaced in a matter of a few short minutes. 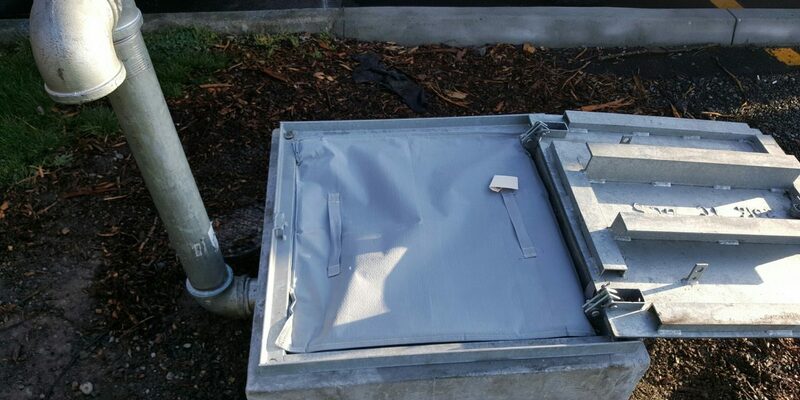 Thus, our removable outdoor insulation have all the benefits described above without making the maintenance of your equipment more difficult. By saving time, saving energy, and reducing the risk of costly damages and outages, our outdoor insulation saves you money. Got questions? 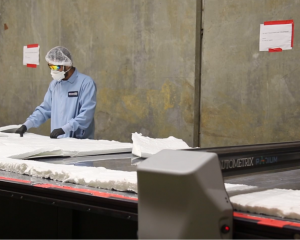 We’re happy to answer your questions about removable insulation solutions.